This book is the follow-up to Thierry Groensteen's ground-breaking The System of Comics, in which the leading French-language comics theorist set out to investigate how the medium functions, introducing the principle of iconic solidarity, and showing the systems that underlie the articulation between panels at three levels: page layout, linear sequence, and nonsequential links woven through the comic book as a whole. 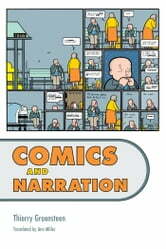 He now develops that analysis further, using examples from a very wide range of comics, including the work of American artists such as Chris Ware and Robert Crumb. He tests out his theoretical framework by bringing it up against cases that challenge it, such as abstract comics, digital comics and sh?jo manga, and offers insightful reflections on these innovations. In addition, he includes lengthy chapters on three areas not covered in the first book. 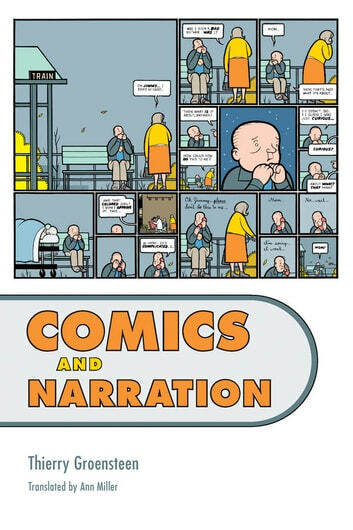 First, he explores the role of the narrator, both verbal and visual, and the particular issues that arise out of narration in autobiographical comics. Second, Groensteen tackles the question of rhythm in comics, and the skill demonstrated by virtuoso artists in intertwining different rhythms over and above the basic beat provided by the discontinuity of the panels. And third he resets the relationship of comics to contemporary art, conditioned by cultural history and aesthetic traditions but evolving recently as comics artists move onto avant-garde terrain.